The US and the UK have solidified their “uniquely close” defence cooperation and relationship with the signing of a contract for Poseidon Maritime Patrol Aircraft. On the 25 January, Minister for Defence Procurement Harriett Baldwin signed a P-8A Maritime Patrol Aircraft (MPA) declaration with her United States counterpart, Deputy Secretary of Defense Bob Work.The UK will receive delivery of its first Poseidon P-8A aircraft in 2019, which will address a long-standing maritime patrol capability gap, after plans to bring into service 21 Nimrod MRA4 maritime reconnaissance and attack MK4 aircraft were cancelled in the 2010 Strategic Defence & Security Review (SDSR). However, the 2015 SDSR saw the UK government restore plans to acquire maritime patrol aircraft, with the announcement that nine Boeing P-8A Poseidon MPAs would be acquired. Unusually, the P-8 was selected without a competition being held. The aircraft will be based at RAF Lossiemouth in Scotland and will conduct anti-submarine and anti-surface warfare surveillance, as well as search and rescue and intelligence gathering. Backed by a rising defence budget and a £178 billion Equipment Plan, Baldwin said the P-8A programme would provide the UK with enhanced surveillance capabilities. 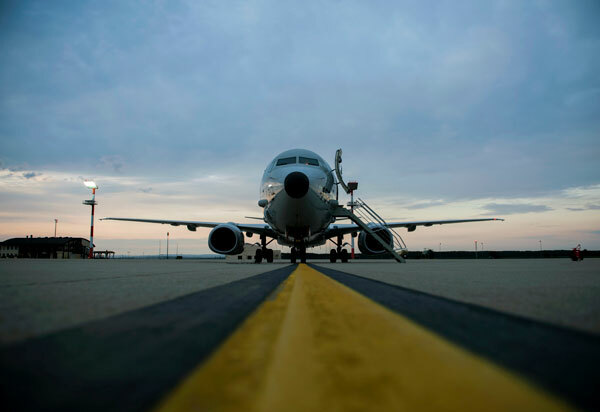 The US and the UK will deepen their cooperation in the North Atlantic region, sharing logistics and support bases and optimising the use of the P-8A aircraft, specifically in Europe. Baldwin stated that the declaration will strengthen UK-US interoperability and pursue efficiencies in operations and support, including at RAF Lossiemouth in Scotland, where the P-8A will bring some 400 plus jobs. The Department of Defense and Ministry of Defence plan to cooperate closely on operation of their P-8A aircraft in the North Atlantic to ensure a coherent approach to MPA activity. “This agreement will enhance the UK’s maritime patrol capability and further strengthen UK-US defence relations,” stated Air Commodore Ian Gale, Senior Responsible Owner for the Poseidon P-8A programme.